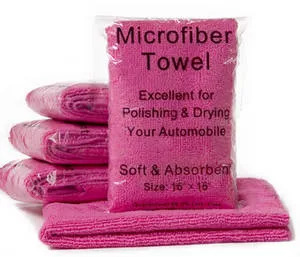 Texas Microfiber manufactures high quality scratch and lent-free microfiber cloths and cotton towels for drying, cleaning, and polishing. Texas Microfiber delivers factory-direct products nationwide. 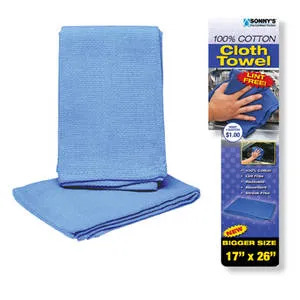 What’s New/Best Seller • 16” x 28” Microfiber Terry Weave Towels. Advantages/Features • Fluffy lint and scratch free towels are large for those jobs that require a more generous towel. Towels are absorbent and provide a streak-less finish with one-pass. Soft, long lasting towels are great for wax removal. 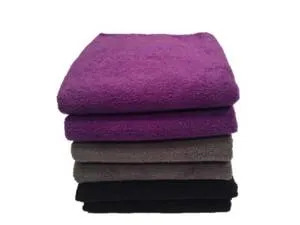 Towels are available in purple, grey, and black. ECP Inc., one of the oldest and most trusted names in the auto dealer industry, proudly showcases its new and improved Technician’s Choice Headlight Restoration Kit. ECP products feature proven chemistry and merchandising targeted to increase sales. What’s New/Best Seller • Headlight Restoration Kit. 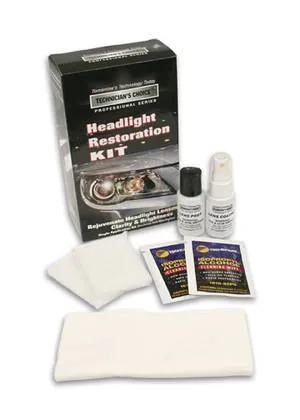 Advantages/Features • The Headlight Restoration Kit requires no sanding, no taping, no need to wipe the coating on the lens and no messy aerosol cans. The coating is ready to go outside in 30 minutes. The kit was designed to help remove the yellowing effect from lenses caused by pollution, contaminants, and UV rays from the sun. Forward thinking professional car wash investors and owner/operators partner with Sonny’s because of its leadership, reliability, and expertise. Sonny’s education and software support profitability and its conveyorized car wash innovations, parts, and supplies keep a business growing. What’s News/Best Seller • Premium Lint-Free Towels. Advantages/Features • The Premium Lint-Free Towels are 100 percent cotton. The towels are large, thick, and absorbent. They are reusable and are packaged 100 per case. Towels are available in blue. Toll free fax: (800) 495-4049. Towels By Doctor Joe is a source for anything in towels, including microfiber, cotton, surgical-huck, towel replacement programs, vending, and towel cleaning solutions. The good doctor also supports your profitability in point-of-purchase products you can sell in your lobby or at the cash register. What’s New/Best Seller • Ultra-21 Microfiber Individually Packaged. Advantages/Features • The full-sized 16”x16” Ultra-21 towels are available in five vibrant colors. Towels are pre-rinsed and immediately water absorbent, right out of the package. They are excellent for cleaning, drying, dusting, and polishing. Available with free self-adhesive hangers and profit strips. Price • Call for special introductory pricing with free shipping included. For more than 50 years, Kleen-Rite has been servicing their customers with the best products, prices, and people. With three shipping locations in Texas, Nevada, and Pennsylvania, orders out fast is our top priority. What’s New/Best Seller • Little Trees Vent Wrap Counter Display. 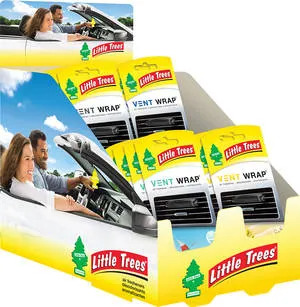 Advantages/Features • Little Trees are the number one selling air fresheners on the market today and now the great fragrances that customers love are available in handy Vent Wraps. All thetop selling scents are represented, Black Ice, New Car scent, Vanillaroma, and Bayside Breeze. The Little Anteater allows car wash operators to increase revenue by having consumers spend more time at pay vacuum machines. What’s New/Best Seller • The Little Anteater. 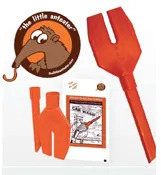 Advantages/Features • The Little Anteater is a reusable crevice tool that fits into the standard vacuum nozzle found at car wash vacuum islands. The simple to use device allows the user to get into the small spaces of a car’s interior in much the same way as the crevice attachment that comes with home vacuums. The consumer inserts the product into the nozzle, vacuums the interior’s small spaces, removes and takes the product home with them. The two-piece device stores in the glove box or center console easily. The tip of the anteater is separate from the body and was designed to be rotated 360 degrees without dislodging the tip or any reduction in suction. The product is vending machine compatible.